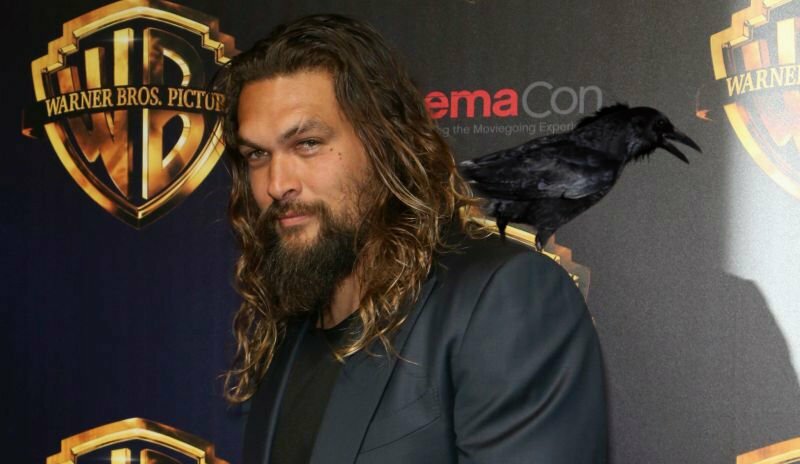 Deadline reports that Jason Momoa and director Corin Hardy formally withdrew from The Crow remake today in what sounds like creative and financial differences with Davis Films’ Samuel Hadida who holds the rights to the film and is financing the project. The Crow was picked up by Sony Pictures last year for worldwide distribution and in March it was announced that the movie would hit theaters on October 11, 2019. Sources say that the deal with Sony hasn’t closed, putting the studio in “exit mode” which reportedly lead to Momoa and Hardy leaving the project. Originally, the film was described as a gritty reboot of the 1994 cult classic featuring Momoa playing the lead iconic character of Eric Draven who returns from the grave as The Crow on a mission to avenge his wife’s murder so that his soul can finally rest. Production was set to start in about five weeks in Budapest and was in full pre-production. This marks the second time that Hardy has exited the remake, and now with the film’s director and lead star walking away from the project, The Crow reboot once again finds itself stuck in limbo with the possibility of its resurrection now in question. Hardy’s upcoming projects include The Conjuring spinoff The Nun which will premiere in theaters this September and centers on a priest named Father Burke who is sent to Romania to investigate the mysterious death of a nun, starring Demián Bichir, Taissa Farmiga, and Bonnie Aarons. Momoa can currently be seen in the gritty Netflix original series Frontier, where ruthless trappers and entrepreneurs in the 18th-century fight to wrest control of the fur trade from the mighty Hudson’s Bay Company. The first two seasons are available for streaming on the site, with a third season expected to premiere this year. Momoa will also be reprising his role as Arthur Curry in the upcoming Aquaman, due in theaters December 21, 2018.